Ben Janssen was born in Sittard, The Netherlands in 1958. After finishing his masters in Biology (1983, Nijmegen University, The Netherlands), he was trained in Pharmacology (Maastricht University, NL).He received his PhD at the Maastricht University with a thesis on Sensory renal nerves and hyp­erten­sion (1988). In 2003 he was appointed associate professor at the department of Pharmacology of the UM. Since then he is a full member of the staff and responsible for the teaching program of pharmacology and pharmacotherapy in the medical faculty. In his research career he had several research trainings in cardiovascular institutes across the USA and worked one year (1995) at Baker Medical Research Institute, Melbourne, Australia in the laboratory of Prof Geoffrey Head (autonomic pharmacology). His main research line focusses on integrative pharmacological control of autonomic function in cardiovascular disease. He is considerable experienced in translating pharmacological research in vitro to hypothesis testing in vivo experimental animals. Currently his experimental research areas are related to 1) therapies and biomarkers for heart failure, 2) perinatal conditioning of hypertension, and 3) telemetric recording of tissue oxygen in kidney disease. He is a member of several national and international societies and serves of the editorial board of the Am. J. Physiol. Regulatory, Integrative and Comparative Physiology and is referee for multiple journals and (International) research foundations. Currently he has (co)authored more than 120 publications. 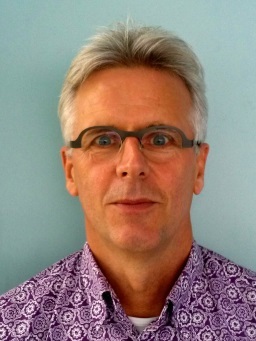 As a teacher he has considerable experience in mentoring and tutoring Dutch as well as international students. He lectures on many pharmacotherapeutic topics and has developed integrative courses in medicine as well as biomedical sciences. The blocks named Regulation & Integration, focusing on homeostasis and body fluid, were awarded prizes for being the best blocks in the curricula of both medicine and biomedical sciences (2012-2014). Furthermore he coordinates and develops e-learning modules on pharmacotherapy for medical students in the bachelor and master phase (see www.pscribe.eu) and serves as a teaching representative for the Dutch Pharmacological Society on several national educational initiatives.